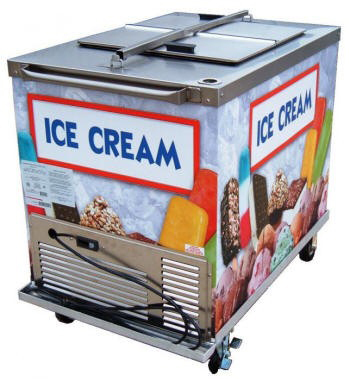 Our ice cream cart is available by itself or packaged with our ice cream. Click here for our available ice cream packages. Make and model may vary.